See scan - perfect condition. This is a nice and rare Bulgarian Communist / Socialist era pin with portrait of the 2nd Bulgarian Astronaut / Cosmonaut Alexander Alexandrov who flew with the USSR Soviet Russian crew. 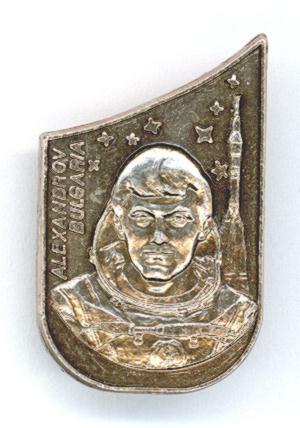 Nice space memorabilia collector piece and one of the rare Bulgarian pins.